14th July is a very special day for my family as this is the day my father and mother got married. They haven't been able to enjoy a holiday in long time because of their work commitments and their family responsibilities which they take very seriously. So, this year I planned to give them a surprise by planning a trip for them so that they could have some relaxation time. Since both of them have their work commitments, I knew the trip has to be just a weekend getaway. They applied for leave on their anniversary well in advance so that they could spend some quality time with each other.I thought the best place for the weekend trip would be Singapore. It's picturesque and friendly for travelers. So, I went ahead and called my travel agent. He got really surprised when I told him that I want to book the tickets for next week only. Instead of booking tickets he started giving me advice that I should have booked them in advance. I again asked him, will he be able to plan the trip, hesitantly he said he will give me a call back in an hour. I waited for an hour for his call then I actually got impatient and gave him a call myself. After the phone rang multiple times, he finally picked up his phone and said "I was working on your trip only." I felt a bit of relief but then only he gave me a shocker. He said "I tried a lot but it's hard to plan the trip in such a short period." I was left puzzled and my voice became louder as I asked "So,will you be able to arrange it or not ?" Observing the tone of my voice he came to the point instantly. "Yes, I will be able to arrange it but since it is being planned in such a short interval hence it is going to cost you around 5 lakh rupees"
What 5 lakhs for a 3 day trip. It's a exorbitant amount for a weekend trip. I thought it's 5 times the amount I have planned for spending on the surprise trip. Maybe I won't be able to gift them a surprise trip. I told him not to book the trip as it was really not feasible. I was feeling really dejected because I won't be able to make their anniversary special. Just to have a mental peace I decided to look into the internet to find what it would cost me to book a trip to Singapore in such a short notice. 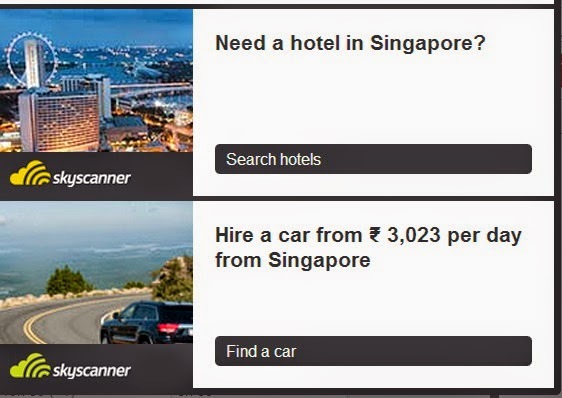 As I was browsing the sites, I went to a website called "skyscanner". I just wondered what this could offer ? 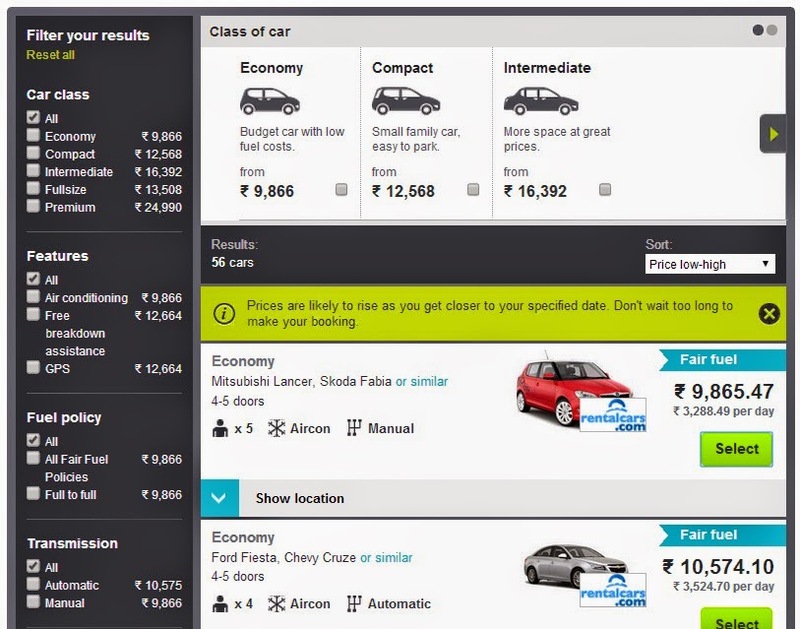 as till now I wasn't able to find a reasonable deal in any of the travel site. As I started browsing through the site, I understood how user friendly the site is, with the prompts and pop up windows always navigating you, I felt really comfortable in searching for the best options. First of all, I decided to book the air tickets. I was surprised to see so many options available for it. 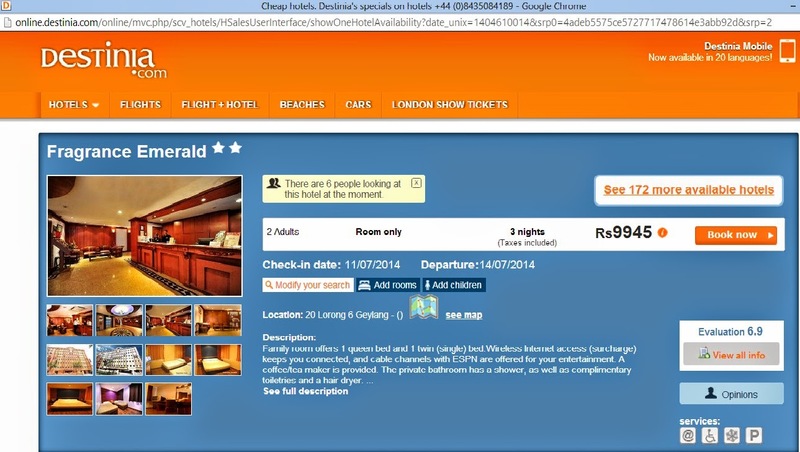 I got the prices from all the leading travel sites at one place which made my choice so easy. 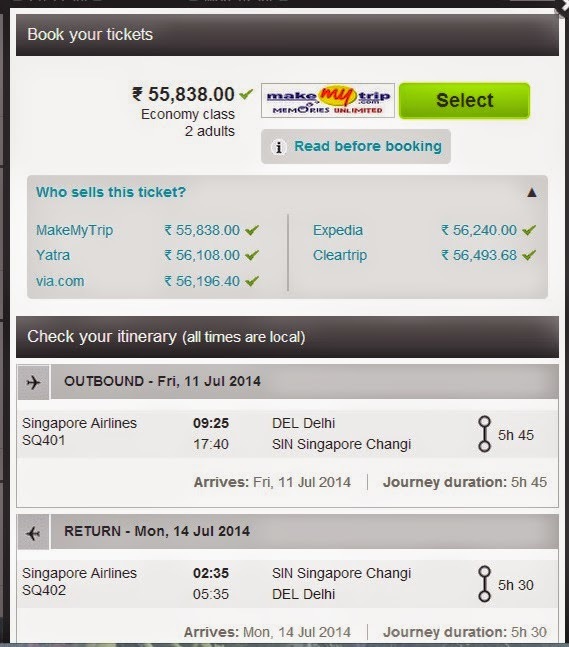 For around 55 thousand I booked return tickets for both of them. I was really delighted to get this offer. As I was completing my ticket booking, I was hit by many questions like if I won't find a good hotel now where will they stay and where will I look for hotel and car rentals but just as I finished my ticket booking I was surprised to see this pop up in-front of me. I clicked on the search hotels and I was served with so many options that I again felt pity on myself for not using this website before. I really liked one of the hotels and clicked on it to book it as quickly as I can. It was luxury at a affordable price. In a few moments it took me to the travel site where I was getting this fabulous deal. Without wasting any more time I booked it for my parents. There was one more hurdle to go before I could feel at peace and that was booking a cab for local sightseeing. 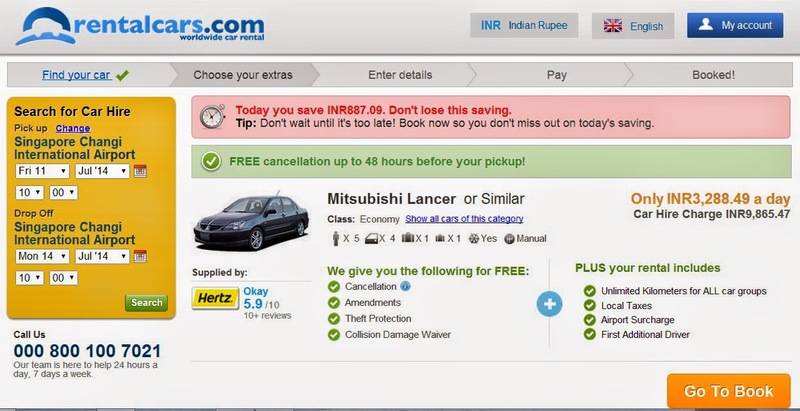 I thought when they have given such great deals in tickets and hotels then why not check their cab booking service as well. I started checking the deals keeping an open mind as the website already solved 3/4th of my problems. To my surprise, I was impressed by the options available. I selected my requirements and within second I was seeing some really great options. I booked it instantly. At around 10 thousands for the three days travel, it was steal. Further it gave us a free cancellation up to 48 hours before the pick up. What more can a person expect ? As I finished all my bookings, I such noticed that in around 75 thousands I have arranged the whole trip. Oh ! that's an awesome work by me. 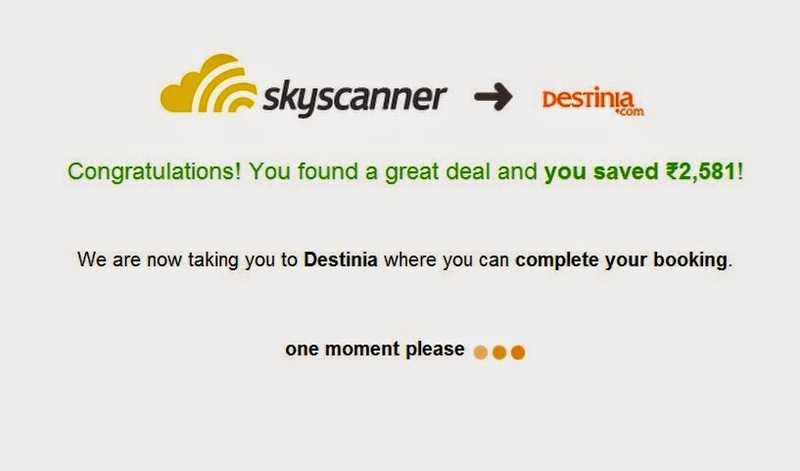 :) All the credit for this goes to the amazing website called Skyscanner. I have definitely became a fan of this website. As I presented my parents with the surprise gift, the happiness in their face was worth more than any trouble I took to book this trip. I would really thank skyscanner for bringing this smile on the faces on the two most wonderful in this world.